Formed in Liverpool, UK in 2013 is hard rock outfit Novacrow. The four-piece are back with the follow up their debut EP Black Syrup which received rave reviews - with high hopes, lets see what their second EP Criminal Mastermind has in store for us! 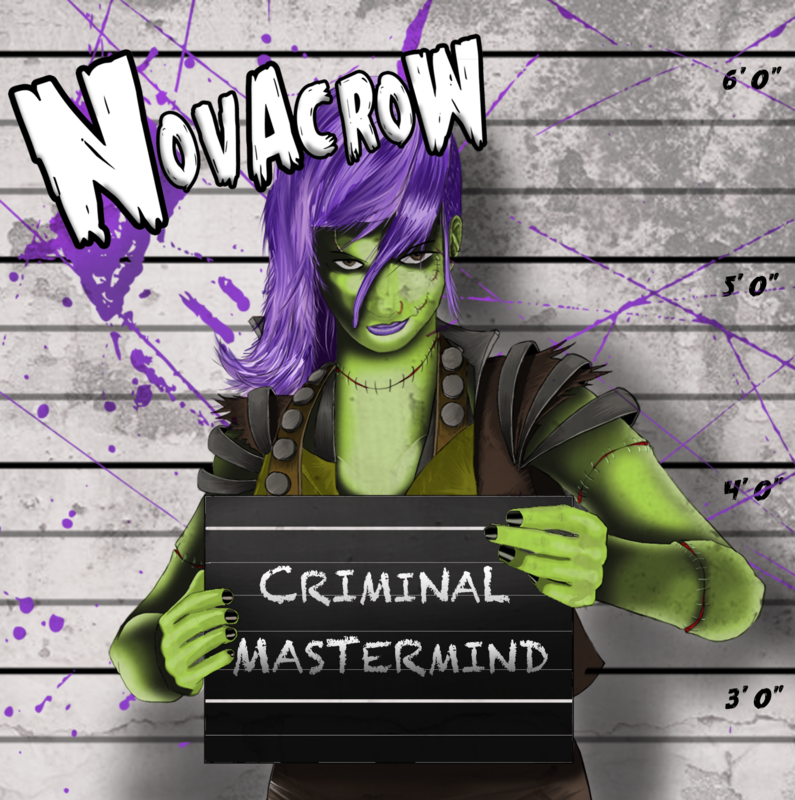 Criminal Mastermind brings a collection of five strong, punchy tracks laced with late 90's hard rock influences and polished with a grunge flair. This almagamation is topped with punchy bass lines and Kitty's robust, snappy vocals - this combination really slamming home on climatic songs such as Laughing Gas and Lab Rat. There's something both funky and groovy about the title track that makes it an instant hit, and a track that will certainly punch high at live shows with it's catchy basslines and easy danceability. Closing the EP is darker number Are You Happy? made slightly spooky by the 'carnival' style melodies that lace the track. The song builds in a way that creates an intense atmosphere and lends credence to the band's horror-inspired theme, however it is just a bit too short for my tastes. The infective vibe is sustained from begin to end of the EP, bouncing from one stompy anthem to another. If there's one thing we had to truly change about this EP, it'd be a minor and superficial change of switching the last two tracks' order. Criminal Mastermind is due November 16th 2018.